With Sidekick 98 working beautifully on Windows 10, it is clear that this old gem is far from dead. Starfish Software was founded in 1994 by Philippe Kahn (and his wife Sonia Lee), as a spin-off from the Simplify business unit from Borland and Kahn's severance from Borland. It was located in Santa Cruz, California. Starfish developed intellectual property for device synchronization, especially for wireless devices. TrueSync was the first over-the-air synchronization system. Starfish was acquired by Motorola for $325 million in 1998. The outspoken founding couple founded another company, LightSurf, in the same year, to develop mobile phone photograph technology. In 2000, the company helped start the SyncML Initiative to standardize synchronization communication protocols. In March 2003, Starfish was acquired by Pumatech in San Jose, California, which was headed by turn-around CEO Woodson Hobbs. Pumatech later changed its name to Intellisync, and was acquired by Nokia in 2005. Anything that ended up with Nokia back in 2005 is presumably forgotten. The good news is that I have been able to put together a complete .zip file with all the original install disks, the patches that were released over the life of the product, the original user manual in .PDF format, and a set of instructions on how to install Sidekick 98 on XP, Windows 7, and Windows 10. I am asking for a nominal fee to defray the costs of the website and my time. 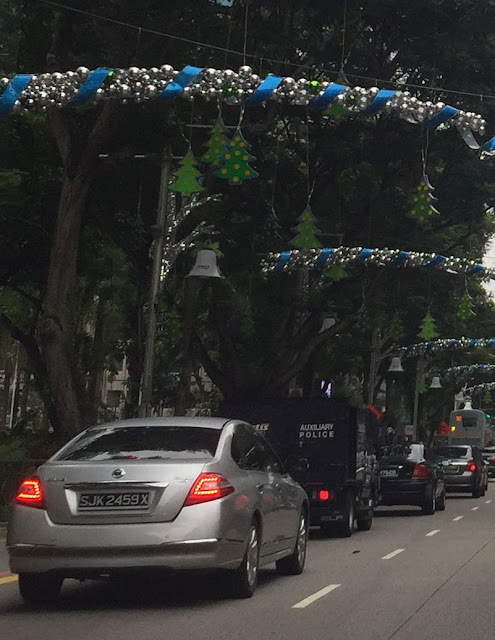 While the citizens of Singapore have been distracted by the holiday season, the government of Singapore has executed a brilliant plan to deal with the haze situation. The Indonesians have proved difficult to persuade when it comes to controlling the burning of their rain forests. In fact, they have rightly pointed out that Singapore does not thank them enough for the clean air they let escape. Given such a difficult situation, the Scholars of Singapore™ have thought outside the box. "if one can freshen the air in a car with a little green paper tree, why not scale it up and fix the whole country?" 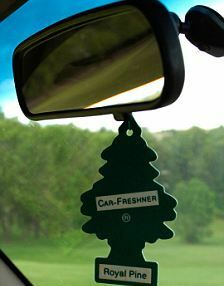 It is clearly working, because the haze has subsided since the giant pine tree air fresheners were installed. An opinion piece by Chia Yan Min in the Straits Times on Tuesday, November 12, 2014 (As old buildings age, rethink rules on en bloc sales) muses that new rules are needed to force easier sales of aging properties. I have written before about the slippery slope created by allowing private property rights to be tampered with by the State (eminent domain) or by rules (en bloc sales). There must be a very limited and extraordinary case for abrogating a person's property rights. Commercial considerations and aesthetics do not pass that test. The argument made in the editorial is that the benefits of urban renewal must be balanced against the "interests" of owners of older buildings. The evidence is that a number of buildings have been allowed to decay due to lack of maintenance, and therefore present an affront to the writer. One has to ask why buildings are falling apart so quickly. Are they being built poorly? Are they designed poorly? Are they designed intentionally to have a short life? Cities elsewhere in the world seem to be able to sustain their building stock over much longer periods than in Singapore. It seems to be our culture that "replace" is preferred to "repair". There are a couple of contributing factors to the perceived problem of aging buildings. The good news is that they are all curable with building and governance standards, without the need to interfere with property rights. Maintenance - Anyone living in a mature Singapore condo knows that there are those on the condo boards that block any and all spending resolutions. Motivations for this behaviour are varied - some people are just cheap, some genuinely are unable to afford higher monthly fees, some are absentee investors who have no stake in the building and look forward to realizing a profit when the land is sold. 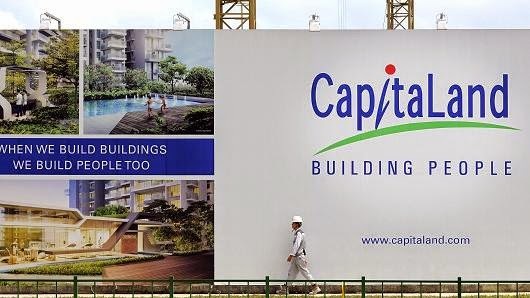 The cure for this problem lies in establishing a governance structure for strata-titled properties that requires condo associations to maintain their premises, obtain engineering reports on the building and plant in order to plan financially for replacement and then fund their capital account appropirately. Above all, maintenance cannot be optional. Design - I lost my home of 9 years when Ardmore Point went en bloc. The building that has risen to replace it has basically the same number of units, but now being sold at a multiple of 4 times more than the sellers received. Nobody who lived in the original building could afford to buy one of the new units. This was not a case of an old building needing to be torn down. This was a reinforced concrete bunker that would have lasted forever with maintenance and updating. The condo owners were offered a financial incentive, and as most were non-resident, they took it. A great building was destroyed for no particular reason other than to allow re-pricing of the land by the buyer. In the process, families living in the neighbourhood were displaced, and the new building is mostly unsold and empty. It may look prettier, but it has failed as a place to house actual humans. The new buildings that we are seeing now as replacements of for all those structures destroyed in the last great en bloc wave are pre-fab concrete structures with curtain wall envelopes. Hardly the stuff of millennia. One has to ask whether the planners at the URA prefer disposable buildings so that they can rearrange Singapore more conveniently when the mood strikes. 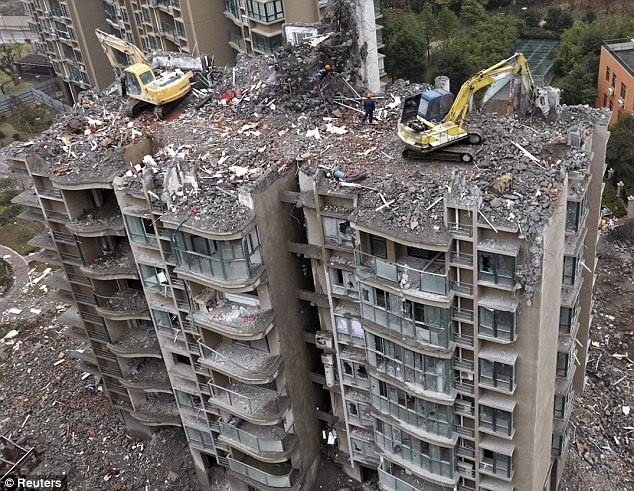 Again, legislation and building standards are the solution to rapidly decaying structures. There is no engineering reason to have this outcome, it is a function of design and maintenance. We don't need to change en bloc rules to allow people to be forced out of their homes more easily, we need rules to allow owners to run and maintain their buildings properly. Unless you are a user of Sidekick 98, the following statement is going to seem perverse. "I will not upgrade to Windows 10 unless it runs Sidekick." Why does it matter if a piece of software that is more 17 years old works in 2014? 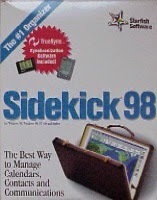 Those of us who continue to value Sidekick 98 know the answer. There is still no substitute for functional elegance that is SK98. With the move to mobiles and apps, the situation just gets worse. The original promise of the PC has been lost. It is no longer a personal computer, it is merely a client attached to a cloud, pumping out ads. Doing real work, with tools that assist instead of impose has become a thing of the past. I have written about this software before, and continue to use it on a daily basis. I have a database of all logins to websites and accounts, which lets me maintain high security by having a different login for every account. When it is time to login, I copy/paste from Sidekick to enter the credentials. This is so central to everyday life, that a computer becomes useless unless I can have SK running. I copied over the directory of SK98 from my backup. The original software came on seven 3 and a half inch floppy disks. By making a directory for each floppy, the setup program is able to run. In this case, Setup ran perfectly, and SK98 appeared to be installed correctly. There were also a number of patches released. After setup is complete, it is a matter of going to the installed directory and replacing a couple of files - sidekick.exe dated 2000-01-07 and yintl.dll dated 2000-01-11. Since Windows XP, it is necessary to do one more step. Although it looks like SK98 is installed, no data is saved when you click the save button. The introduction of security features in Windows means that you have to locate the sidekick.exe file, right click, and then select "run as Administrator". This gives the software the required permissions. I loaded my files, added data, changed data, saved, re-opened, printed. Everything works. That's it. 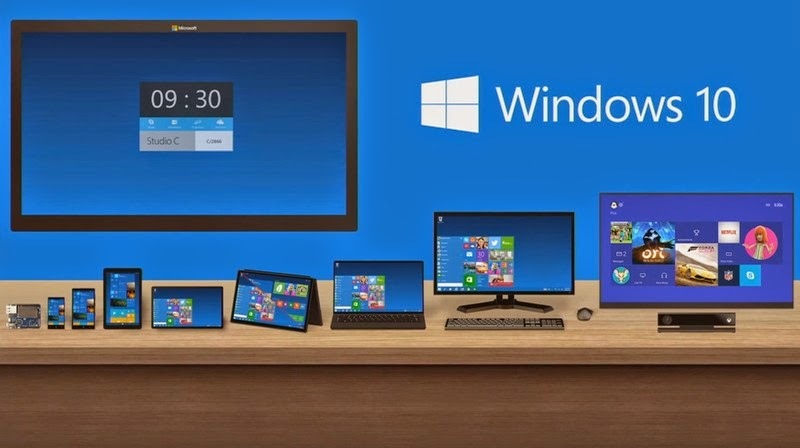 Windows 10 is a candidate for upgrade. What was presented was a butchered facsimile of the real film. I don’t understand what GV is thinking by showing such a badly tampered with film – the experience was painful, with dialogue missing or replaced with inane phrases (chia pet, seriously?? ), and scenes apparently truncated. The resulting mess was not even coherent. To be clear, this is the fifth film in the franchise. I am well aware of what to expect in a Die Hard movie, including violence and coarse language. That is normally offset by a sense of humour, something that was entirely destroyed by the replacement of the intended dialogue. Who does GV/distributor/film censorship board think they are “protecting“ with this inane censorship? The audience is clearly adult and willing to pay for comfort and quality. Instead GV delivered crap. It is no excuse to say "this is what the distributor provided", which was the response from the on-site manager. GV owes its primary duty of care to its customers, not the distributor. If the distributor won’t provide a clean print, don’t show the movie. I feel completely ripped off. Instead of an enjoyable night out with my wife, we ended up spending over S$130 on what was a fraud. I have checked the GV.com.sg web site again to confirm that there was no warning that the film being shown was not the original, but there is nothing. With the increasing dirtiness of the seats and theatres, and now with butchered films, I don’t think we will be customers any longer. In the debate about emotionless Singaporeans, it is useful to have some evidence rather than conjecture. I give you the Business Times and reporting on a “strike” by some bus drivers. The reporter manages to cover the story without actually talking to a bus driver, which is pretty amazing considering it was a work stoppage by bus drivers. We learn that the gentlemen in question were recruited from China on contract, they are not unionized, they are housed in a dormitory, and they are paid S$1,000 per month, which is less than other drivers doing the same job. This disparity in pay increased after a recent round of pay adjustments, in which the contract drivers did not receive an increase. 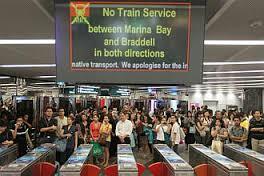 We also learn that the drivers refused to go to work at the beginning of their 4am shift, SMRT management called the riot police at 10am, and talks with the drivers didn't start until 12 hours after the work refusal started.. So those are the facts as reported. The total absence of empathy is telling. At a time when the government is cutting the number of foreign workers, we find that public transport, run by a government controlled company, is importing workers at low pay. We learn that the national business newspaper, also government controlled, refers to the drivers as “PRC nationals”, and does not attempt to learn or understand their side of the issue. What must it be like to have left your home with the promise of a job in Singapore, and then to find that you are housed in a dormitory, expected to work side-by-side with people earning more than you, and not to get a pay increment in a country with a 5% inflation rate? Do you feel intimidated when "45 police officers, 3 patrol cars, and 4 special operations command vehicles were deployed" at your dormitory? We will never know, because these are not people, they are PRC nationals.